In my previous post, I outlined the different steps of drawing and mind mapping all the contents I used to publish on the Web. I this phase, my idea was to gather them and make all the link actives from a unique and central map. 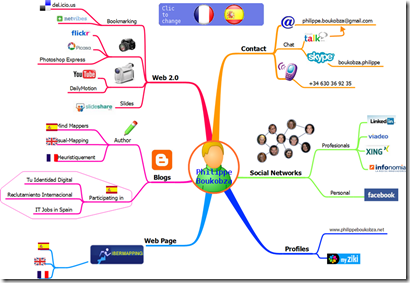 Click on the map to run the active Mindmap.